Did you hear? PATH Intl. has its Corporate Membership program up and running for 2012. Check it out here or contact Megan Ream for details. With our special Member-Get-A-Member drive, we've made referring colleagues to PATH Intl. easier than ever! Forward an application to them or direct them to Join Now to download an application. Or direct them to the PATH Intl. store to join online. Ask your friend to enter your name as his/her "referred by." Then tell another friend... and another... and another to win prizes. Thank you for your efforts for all members recruited by June 29, 2012. Click here for full details and prizes. 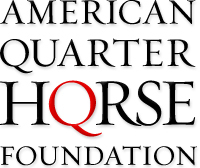 The American Quarter Horse Foundation, a PATH Intl. alliance partner, is happy to announce that beginning in 2012, an important addition will be made to criteria for the America's Horse Cares grant program. In addition to requests for scholarship and equipment funding, the AHC program will offer funding to benefit the continuing education of a PATH Intl. Certified Instructor, therapist, employee or volunteer of PATH Intl. Centers. Requests must be made by the organization and will be subject to requirements. All scholarship applications must be in the PATH Intl. office by Wednesday, February 15, 2012. PATH Intl., with funding from the Build-A-Bear Workshop Foundation, will provide seven scholarships for a total of $1,800 to allow children in need to participate in a therapeutic horsemanship program. The Riders Assistance Fund will go to fund participants at seven PATH Intl. Premier Accredited Centers. Originally, the fund was set up to give one $300 gold-level need-based scholarship. However, thanks to the generosity of the Build-A-Bear Workshop Foundation, PATH Intl. can now give out six additional $250 silver-level scholarships in 2012 to PATH Intl. Premier Accredited Centers. Click here to access the application. Please email the completed scholarship applications to Megan Ream. If you have any questions, please contact Megan at (800) 369-7433, ext. 107. The PATH Intl. Conference and Annual Meeting is October 31-November 3, 2012, in Seattle, Washington. 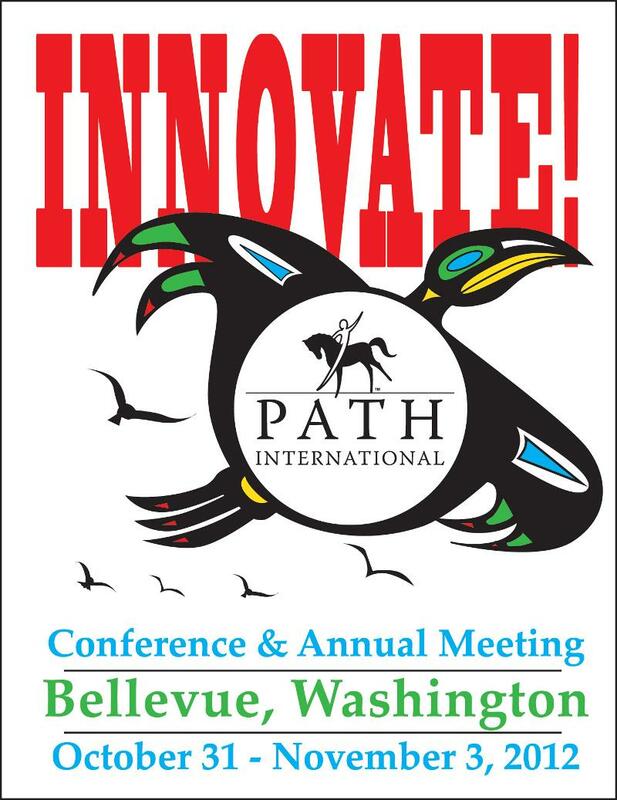 The 2011 PATH Intl. conference had the largest attendance in association history. With a focus on industry-leading research and educational innovation, 2012 promises to be even better. Watch for information and details on abstract submission to published shortly. PATH Intl. center members who renew before the membership grace period ends on March 31st will receive a very functional gift from PATH Intl. As you have been reading in the eNews, the PATH Intl. Standards for Certification and Accreditation (fondly known as the Standards Manual) is in the process of being completely reorganized for user-friendliness and to reflect the changes, growth and progress made in the field of equine-assisted activities and therapies. PATH Intl. Center Member renewals are past due. Centers that have not yet renewed have until March 31st to renew before membership expires. See below for information on how to renew. who do not renew prior to March 31, 2012. Have you ever wished you could get more personalized instruction from a presenter or a workshop? Webinars can give you the personal attention you want in an easy-to-follow format, all from the comfort of your own computer. In our continuing efforts to increase communication and educational opportunities for PATH Intl. members, PATH Intl. launched a new webinar system. Offerings in January included a guide through the PATH Intl. center accreditation process as well as HIPAA training and awareness. The next webinar is "Steps to Successful Accreditation" on Monday, February 27 at 5:30 p.m. (Mountain Time). To register, log in to the PATH Intl. online store. Space is limited to the first 15 registrants. Coming off of a strong performance at a recent qualifier for the Paralympics, USA's Para-Dressage team has earned a spot at the 2012 Paralympic Games in London. Para-Dressage riders from 23 nations have qualified to take part. Team USA earned their qualification by virtue of a second place finish on the FEI Para-Equestrian team rankings list. The qualification process, which began in October 2010, finished January 31, 2012. A total of 78 Para-Equestrian riders will be battling it out for the 11 sets of medals available in Greenwich Park over six days from August 30 to September 4. Additional information on the equestrian events at the London 2012 Paralympic Games can be found on the FEI website. Pat and Linda Parelli of Parelli Natural Horsemanship will be presenting the 2012 USA Tour "Horse and Soul" at the PA Farm Show Complex in Harrisburg, PA, March 31-April 1, 2012. Other tour stops scheduled throughout the year include Virginia, Georgia, California, Washington, Ohio, Minnesota, Texas, Tennessee, Florida and North Carolina. PATH Intl. therapeutic riding programs have the opportunity to attend for free. Each organization simply needs to fax a letter, on the organization's stationary, to Parelli Central at (888) 731-9722. In the letter please include the location of the tour stop your organization wishes to attend and the number of people in your group. For more information about Parelli and the "Horse and Soul Tour," visit www.parellihorseandsoul.com. Or email Liz Huntington.